Huzzah, it’s Greek Carnival season a.k.a. my favourite time of year! Not only because it’s the time of year that the entire Greek community comes out to celebrate together in a Mardi Gras style, but also for ‘Burnt Thursday’ – a day devoted entirely to devouring as much meat as possible before Lent commences. We call it Tsiknopempti. 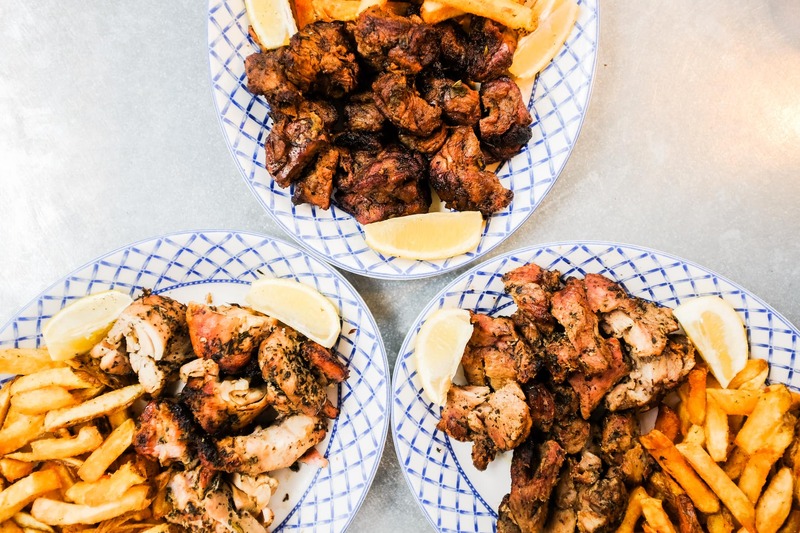 In that sentiment, I am hosting my very own Tsiknopempti celebrations on Thursday 8th February, where I will be serving up souvla galore for a mega meat feast for all attendees, alongside the best in Greek wine and Tsipouro. As a Greek restaurant in London, there wasn’t ever going to be a chance to pass up on this! If the 2017 celebrations are anything to go by, then I am hoping for a very merry night with all the usual Hungry Donkey crowd, Greek community and those who just want to give Tsiknopempti a go wishing that the UK was just this fun ? Here’s to bringing a taste of the Hellenic islands to the heart of Spitalfields! Does this sound right up your street? Make a booking here.